Let’s just get it out there—this probably isn’t the most glamorous moment of your life, but accidents are inevitable and you shouldn’t stress over what to do when disaster strikes. We all know that the best way to never have to deal with this mess is using a protector, but what do you do if the protector fails or you, ahem, just haven’t gotten around to ordering one yet? Now’s not the time to regret putting off that order. With this handy guide, you should be able to remove any trace of that accident and become an expert on how to get pee stains out of a mattress. And who doesn’t want to be an expert in something, right? Right. A rough night shouldn’t ruin your mattress forever and armed with just a few household tools you can sleep on a fresh, clean bed in no time. These instructions should help you clean up a traditional mattress and serve as a handy guide for how to get pee out of a memory foam mattress or other foam materials as well. Foam tends to absorb much quicker than a traditional mattress, so you may find that you need to repeat the process a few times to really get things clean. If you just woke up to a gift from a child that snuck into your bed late last night and you need to know what to do now, follow these steps below. If the accident has had time to set and dry, jump down to the next section for a heavier method. If things are still wet, you’ve got a pretty good chance at making it appear as if this morning never happened at all. You’ll need white vinegar, baking soda, a few towels, and a vacuum to take back your bed. Ideally, you’ve just awoken to this surprise and have the rest of the day to let your new best friend, baking soda, sit for a while to work its magic. If you’re wondering how to get the pee smell out of a mattress, this method should take care of it. This can also serve as a guide for how to get old pee stains out of a mattress! Remove all of your bedding and get it into the wash right away. Dilute the white vinegar with water in a spray bottle in a 50/50 mixture. Grab a towel and BLOT the liquid in the mattress out. If you scrub, you’ll run the risk of pushing the urine even further into the foam of your mattress, making it harder to get the odor out. Once you’ve blotted most of the moisture away, spray your white vinegar mixture generously over the area. Continue to blot out excess liquid. Cover the area in baking soda and move on with your day. Let it sit for 8-10 hours, the longer the better. Vacuum up the baking soda and inspect the area. If there’s still staining or odor left behind, you can repeat this process until things are back to perfect. If you’ve inherited a stained mattress or missed the accident only to discover the damage once there’s been time to dry, you’ll need a heavier cleaning solution to do some heavier lifting. These should still be household items or easily grabbed on a quick dollar store run. Optional but a bonus: add a few drops of essential oil to leave behind a refreshing scent. Lavender is said to create a relaxing environment to drift off to. Don’t shake the bottle to mix, instead a few swirls should do the trick. Spray a generous coating over any visible stains, make sure you cover everything evenly. Let the mixture sit until dry, you should see a layer of baking soda residue form. Vacuum off the residue and you should be set! If the stains are still visible, or an odor remains, you can repeat this process until they’ve totally disappeared. The longer you can let the mixture sit and work, the less likely it is you’ll have to repeat these steps. We all love our pets and while many of us welcome them into our beds with open arms, this can lead to accidents that should be handled a tad differently than human accidents. If you’ve come home to a mess from one your furrier family members, have no fears. You’ll need to assemble a similar kit from the instances above. Baking soda, hydrogen peroxide, and liquid detergent will all come in handy to remove the stronger odor that can be associated with your animals, especially cats. 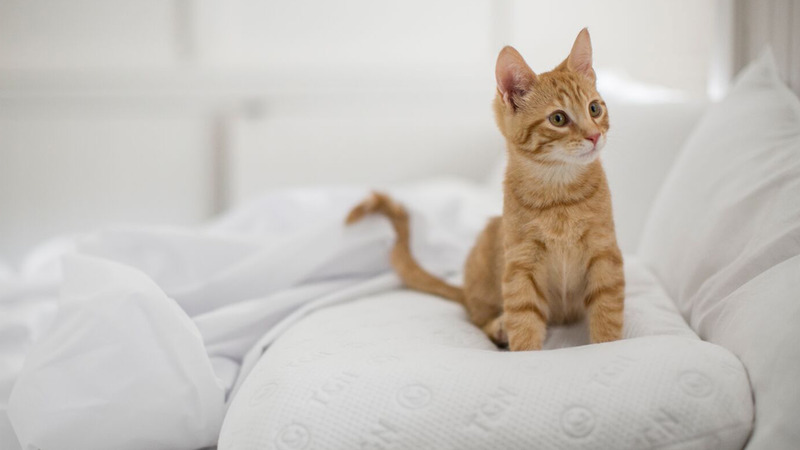 If you’re looking for how to get cat pee out of a mattress, or how to get dog pee out of a mattress, the process is pretty similar, though you want to soak the urine out of your mattress first. If the accident is fresh, sprinkle baking soda over the area to draw out the urine. The baking soda should darken in color over time. Vacuum the baking soda off your mattress and sprinkle more on, to continue drawing it out. Repeat this process until the baking soda stays white. 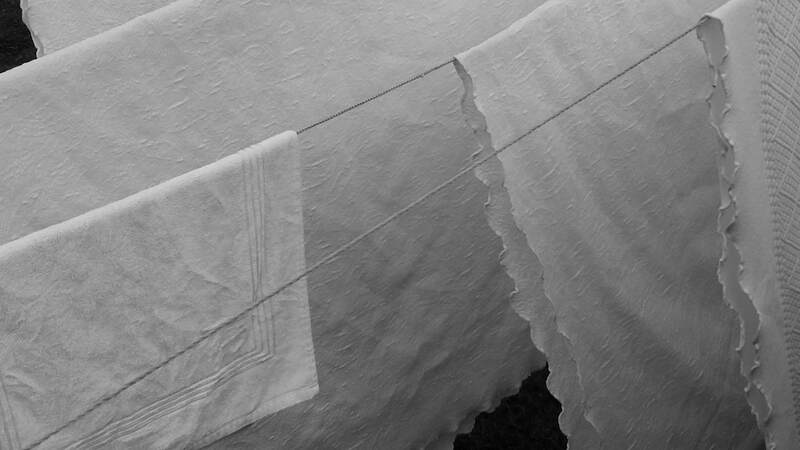 Once the baking soda has done its work, or if the stain has already had time to dry, follow the steps for How To Get Dried Pee Out Of A Mattress for a maximum strength treatment. Shelly Weaver is part of the Content Team at Tuft & Needle, leading the writing and editing of our blog. Not quite a Phoenix native, (They take that sort of thing super seriously.) Shelly has spent most of her life in the Phoenix Metro area and has no plans of leaving anytime soon. She made the unexpected jump out of wedding photography and onto T&N’s team in 2016, and found a passion for the people that keep the lights on. She still finds herself shooting in her free time, though these days there are less bridal portraits and more masterpieces of her first child, Duke, a lab-pit mix with an unparalleled love for both T&N mattress hogging and couch destroying.